Every 24 hours Habitat for Humanity completes 115 homes around the world. The needs of all these families are diverse, but so are the Habitat for Humanity solutions. We build new homes and we repair others. We help those who have been struck by disaster and we partner in international projects to provide communities with sanitation and clean water. No matter what housing solution we provide, the outcomes are the same: a foundation for a better life. Home ownership changes every aspect of a family’s life. Owning a home is different from renting. With the home purchase comes the pride of ownership, a sense of belonging and most of all stability. Secure housing improves a family’s well-being and allows the family to stay in a neighbourhood for as long as they want and become an on-going contributor to their community. In New Zealand home ownership numbers are decreasing and the costs for owning a home are going up. 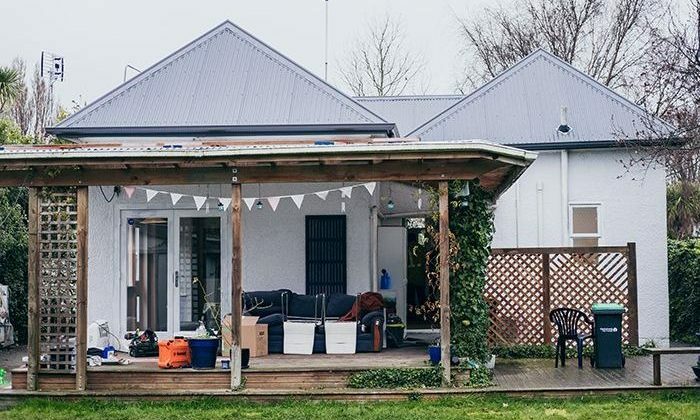 For many kiwi families an own home remains out of reach. Through the Assisted Home Ownership programme from Habitat, owning a home becomes a reality. A hand up – not a hand out. 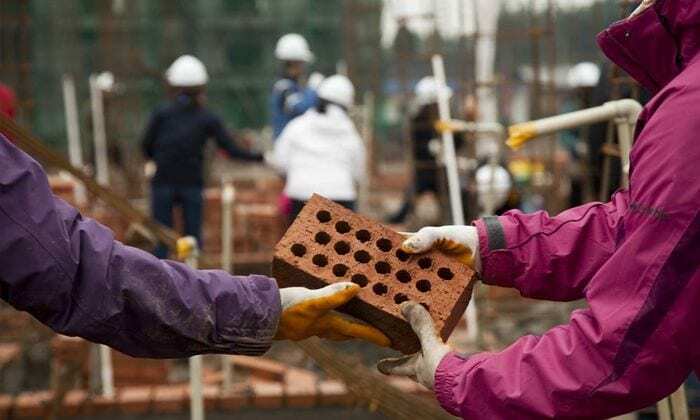 Habitat’s Assisted Home Ownership programme is not a give-away programme. Families invest 500 hours of their time to build their own home or those of others. Once their home is completed the family makes affordable regular repayments to Habitat at a no profit basis. Our rent-then-buy model helps families build up a deposit which they can use when seeking independent finance and buy their home from Habitat. Revolving Fund. Partner families’ monthly payments go into a revolving fund held by Habitat. This fund is reinvested into the community, as it is used to build more homes for families in housing need. Ongoing family support. The partnership with Habitat doesn’t stop when the house is finished. Habitat works with the family from the time of selection and during the repayment period to provide assistance in the move towards home ownership. This covers areas such as home maintenance, monitoring repayments and other assistance as needed. Many low income home owners can’t pay for their house maintenance, because they can hardly afford their weekly expenses. Owning a home can be a costly business. What once was affordable may have become unaffordable over time due to reasons such as unemployment, expanding family or rising costs. Habitat’s home repair programme ‘A Brush With Kindness’ (AWBK), helps low income families back on track with their home maintenance. For affordable repayments to the home owner, Habitat carries out most urgent home repair projects, such as fixing a leaky roof, painting the outside or renovating a bathroom or kitchen. ABWK-projects may also involve creating a more suitable place for the occupants when life situations have changed; such as building a wheelchair ramp or installing bathroom aids for less mobile people. Having a place to live is a basic need for everyone. For some people this remains out of reach. A decent and affordable place to live is a basic need for everyone. Owning a home is not always the most suitable option. Habitat for Humanity provides rental accommodation to low income individuals and families. The rent is based on a tenant’s income and subsidised by Habitat for Humanity. Just like partner families from our Home Assisted Ownership programme, tenants receive ongoing support from Habitat for Humanity to help them improve their living situation. This may include budgeting courses, but also assistance when there is a social need. We partner with social service agencies to support Habitat families where needed. After natural disasters and conflicts, Habitat for Humanity is there to help rebuild communities and prepare for the future. Devastating natural disasters happen around the world every year. War, conflict and civil unrest also create millions of refugees and internally displaced people. Natural distasters destroy or damage many houses in a community at ones, leaving families left homeless. Habitat for Humanity International (HFHI) recognises the need to provide shelter and housing solutions to help these families recover. Habitat NZ’s most recent projects are the rebuild in Christchurch and our involvement with Samoan communities to recover from the cyclone and prepare for the future. A Global Village trip can be a life-changing experience. 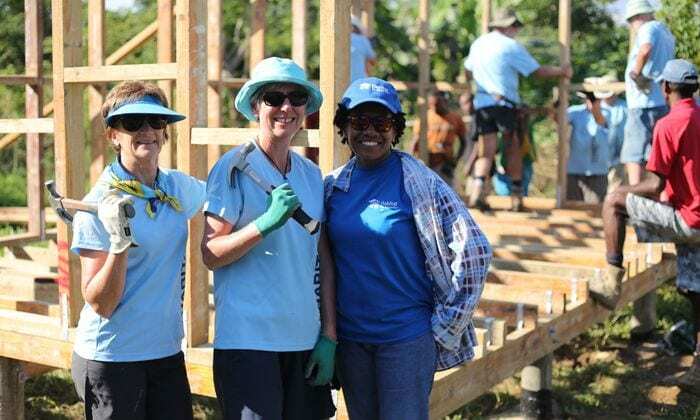 Teams of volunteers visit countries in need and help build houses in the local communities. Volunteers will be more than a tourist: you will be welcomed into the community by your hosts and introduced to the local culture as a guest. You will develop an understanding of issues facing the community, learn more about another culture and learn more about yourself. Global Village teams bring invaluable support to the communities they visit. More homes are built each year because of the donation Global Village teams make to the host community. You do not need prior building experience. If you have a sense of adventure, are in good health and willing to work hard, you can be part of a Global Village team. Participants under the age of 18 must be accompanied by a parent or guardian or be part of an organised school, faith or service group. 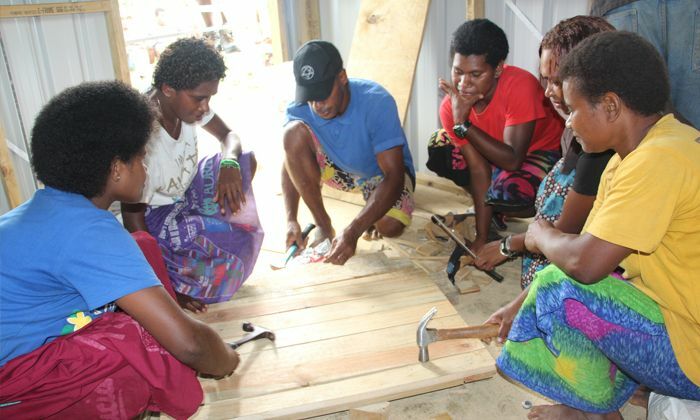 Building communities in the Pacific region. Habitat helps families in the Pacific region to improve their housing and to up-skill families and local builders. Our most recent project is a new project in Samoa in 2015: The Habitat Build. The Habitat Build project will work alongside communities, assisting them in building stronger more weather resistant housing and increasing their knowledge on disaster preparedness. Over three years, this will lead not only to improved housing situations but also increase the educational and employment opportunities for local people. Firstly, onsite assessments will be conducted for families to determine their housing needs. 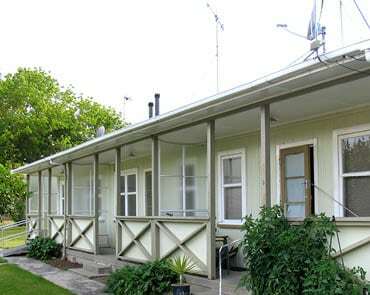 A range of options will be available, including extensive maintenance of existing homes or new supplementary or core housing, along with access to free Samoan house designs. Financial literacy training and cyclone strapping training will also be offered to families. Samoan building apprentices will be involved with the construction and supervised by Habitat.